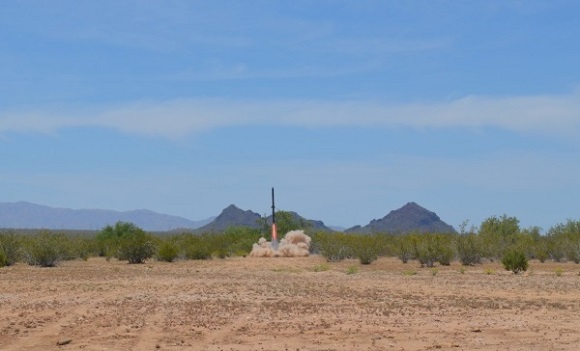 Students from the University of Arizona have successfully developed and sent into orbit a rocket with some of the 3D printed components. 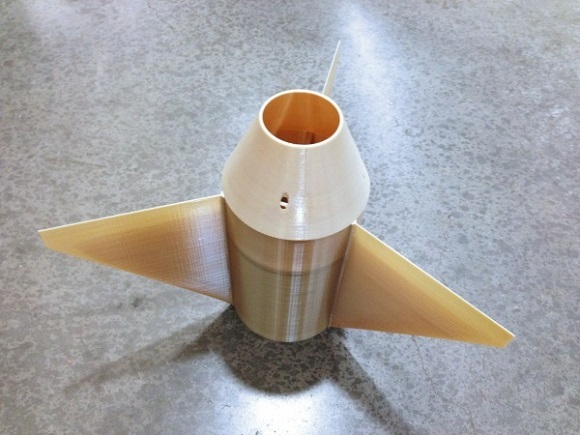 3D printing proved to be efficient in developing electronic housing boxes, circuit mounts, booster fins, aft body structure and tailcone to advance the functionality of the rocket. Initially the team was concerned about the high price of the 3D printed parts and relatively small budget. They were supported by Raytheon and the Solid Concepts Company. It became clear that the costs of the components were not so high in comparison with what they had expected. And by the way 3D printing saved them considerable amount of time spent on development of the components. 3D printing allows you to print several elements as one whole. One of the team members from the University of Arizona Matthew Dusard said that for example only fin structure that was developed with FDM (fused disposition modeling) would have consisted of seven separate components, and it would have taken them about three days to construct it manually. 3D printing was the only possible way to make up the construction as one whole because of the thin fins of the design and the cavities inside. 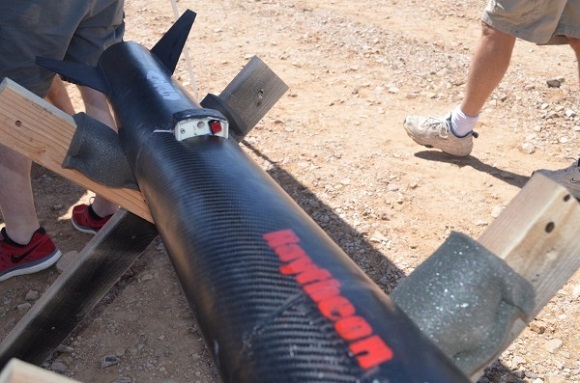 To give it more strength they bundled up all the 3D printed parts in carbon fiber; they also moved the pieces smoothly to the rocket’s aft end and after getting the pieces they were ready to go in time to start it on the panned day. What’s more the team explained that the design developed with a 3D printer allowed to lessen drag and to raise the rate of effectiveness by 85% in comparison with the rounded flat plate. 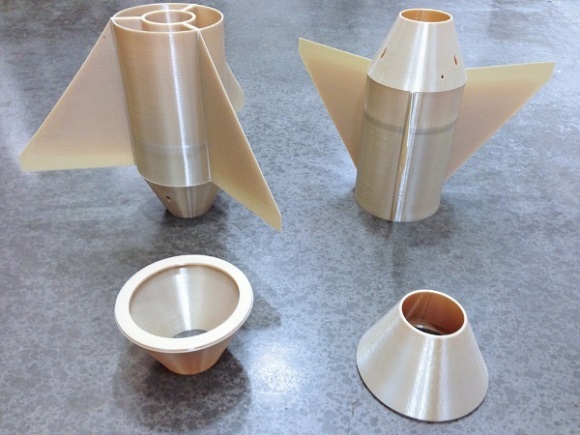 With 3D printers they can produce fins of reduced thickness and complex crookedness is to guarantee its function. They wouldn’t have created such a system but for additive manufacturing. Thanks to 3D printing the team managed to get access to flight computers inside the rocket to manage some parachute deployment difficulties. It was important for the rocket’s parachutes to deploy at the proper moments of the flight to guarantee a safe return. However there have occurred some problems with parachute deployment, and to fix them they had to dismantle to have access to computers. Dusard studied 3D printing and was experienced in developing circuit cards during his internship. It was he who suggested 3D printing circuit mounts. 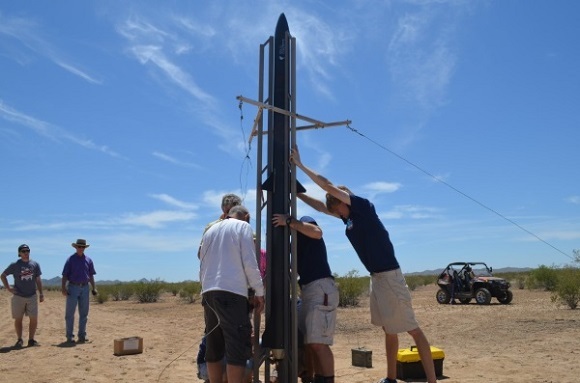 3D printed mounts made it easier for them to pull the electronics in and out of the rocket side and also reduced time spent for the repairs it the electronics functioned in the wrong way. Their genuine ideas – from the time saved through printing composite pieces as single units to easy usage achieved by unusual electronic mounting techniques – became real thanks to 3D printing.